Since St. Patrick’s Day was on a Wednesday, I decided to make a few Irish favorites instead of going out and getting wasted. First up is Oven Roasted Cabbage. It was really simple to make and turned out fantastic. Cut the cabbage into wedges (or more or less, depending on the size of your head), and spread them out on a baking sheet. Drizzle with olive oil and sprinkle with salt and pepper. Roast at 400 for 20 min, then stir cabbage and roast for an additional 10-20 min, until the edges are brown and crispy. Next up is Colcannon. I had never heard of this dish until I saw it on Tastespotting. It’s a little more labor intensive, but it was worth it. Preheat the oven to 350 degrees F. In a large mixing bowl, mash and whip the warm potatoes with the warmed hemp milk until creamy smooth. Drizzle with olive oil, to taste; and season with sea salt and ground pepper. Stir in. Taste test for seasoning. Set aside. In a skillet, heat a dash of olive oil over medium-high heat and add the garlic. Stir for less than a minute. Add the shredded cabbage, carrots and scallions. Cook and stir for a few minutes- just until the cabbage has wilted and softened a bit, but still tender-crisp. Stir in the green chiles and remove from heat. 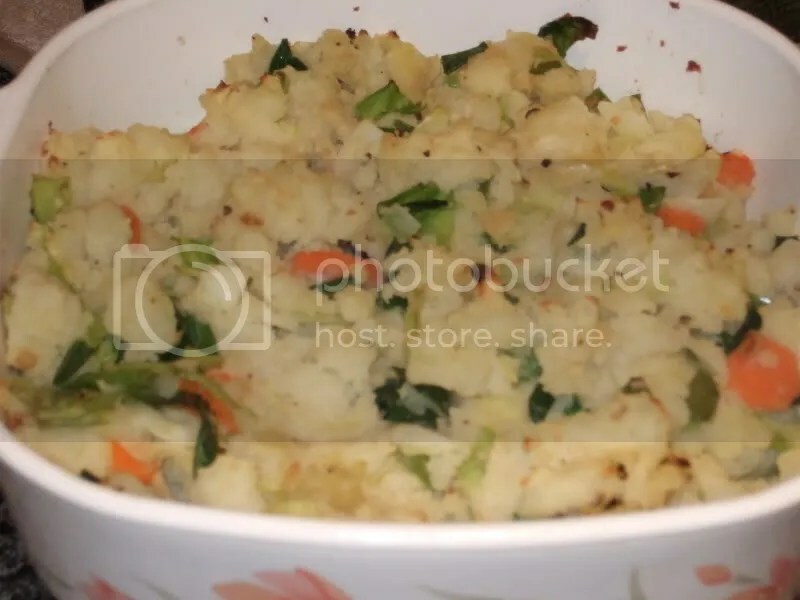 Add the cabbage skillet mixture to the smashed potatoes and stir together. Spoon the colcannon into a casserole dish and cover. Bake at 350 degrees F for 20 to 30 minutes, until piping hot. Serve with a garnish of sliced scallions. And last but not least, I made some bread to go with it. I was planning on making Irish Soda Bread, but once I started getting the ingredients together I realized I didn’t have baking powder! 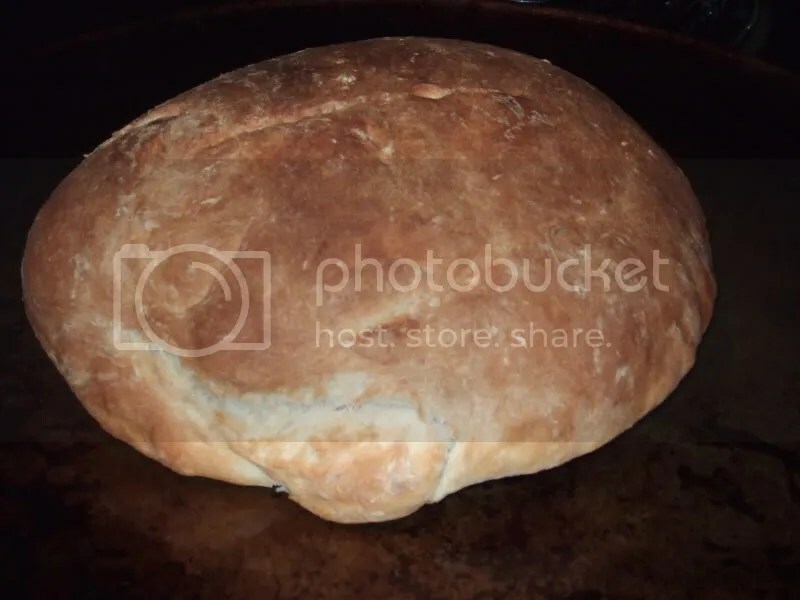 So I just made another loaf with the recipe I’ve posted here. You might be wondering where the protein is in this meal, well I ended up not making one because all this was enough as is. It was very filling and very good! After learning the health benefits of cabbage, Jason and I have been trying to eat more. 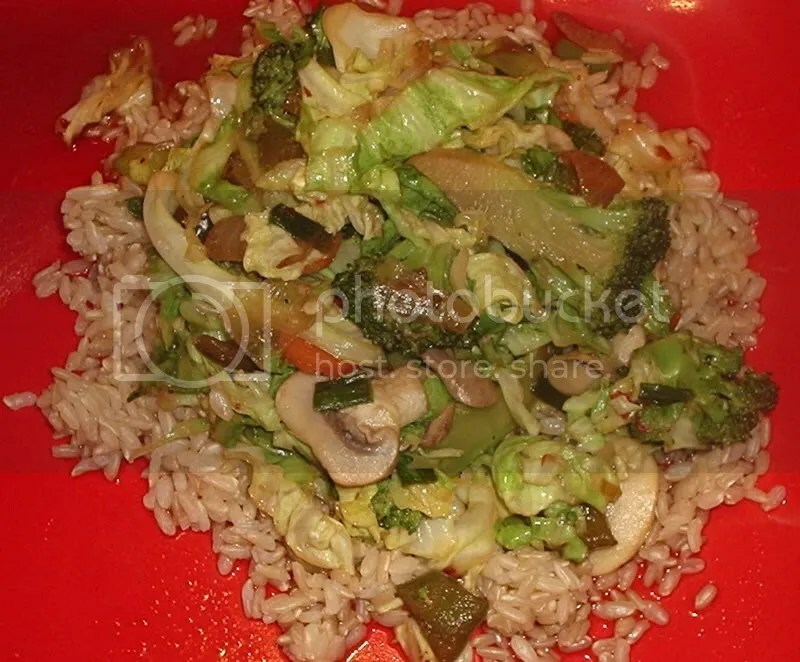 A couple days ago we bought a head of cabbage for the stir fry I made. We still had half left, so while making my bento for tomorrow, I thought some cabbage in my noodles would be a good way to get some extra cabbage in my diet and help use some of it up. 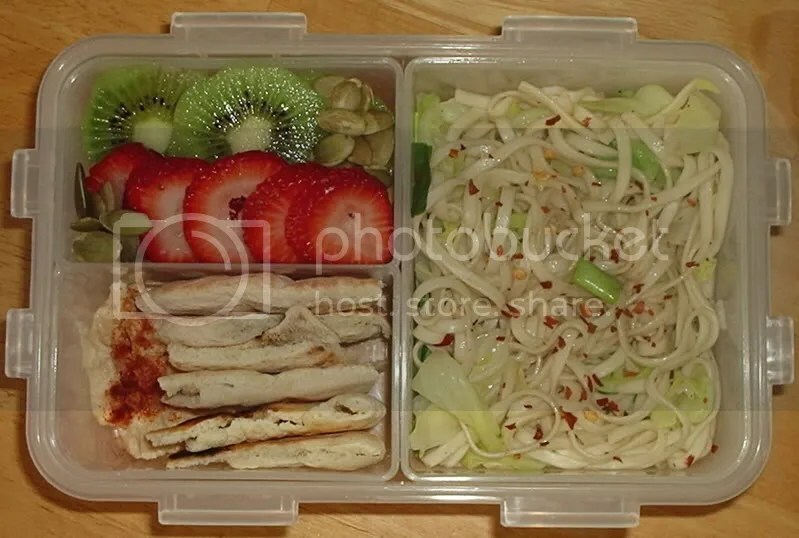 I’ll wait until tomorrow to post the whole bento, but here’s a little teaser. Get water boiling in a small saucepan. Once it is boiling add cabbage and garlic and cook for a minute, then add the noodles. Add chili paste and cook until noodles are done (about 3 minutes). Drain water and add green onion, sesame oil, and seasonings to taste. The water could also be left to make a soup. I thought I’d go ahead and post some pictures and recipes that I already had from another website. They don’t have the best presentation, but I’m going to work more on presentation when taking pictures from now on… I just need to get my camera! 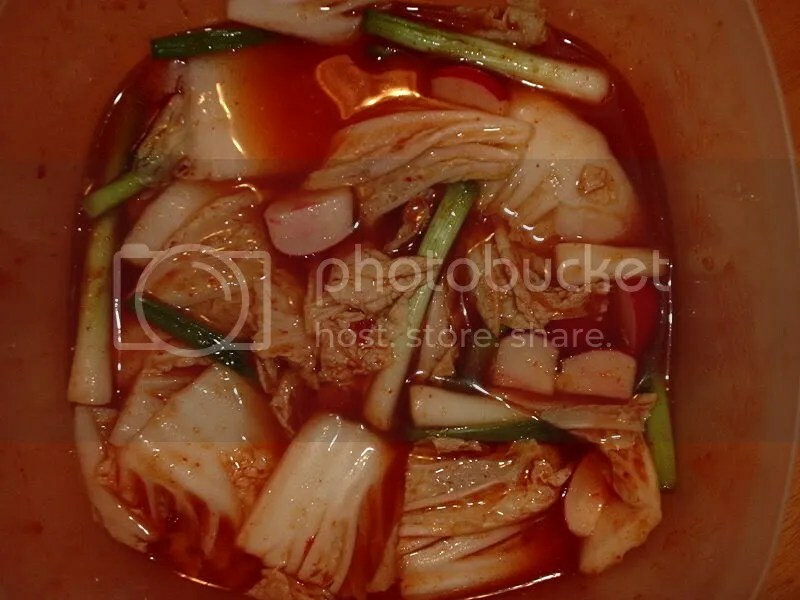 Kimchii – This is a traditional Korean staple. It can be eaten as an appetizer or as a garnish with other dishes. It may seem kind of scary at first, but it is spicy and delicious. In this recipe I used vegan kimchi base, make sure you check the label carefully because many kimchii brands have anchovies in them. 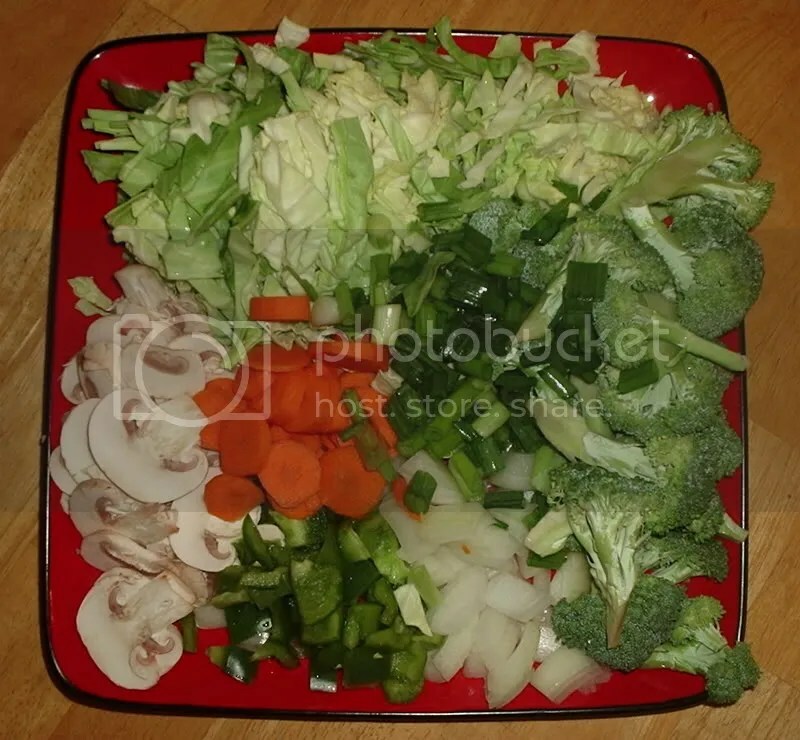 Add all the veggies into a container that has a lid and add kimchi base, about 1/4 cup water, and salt. Can be enjoyed as is, or wait a few hours or days and it will be spicier. 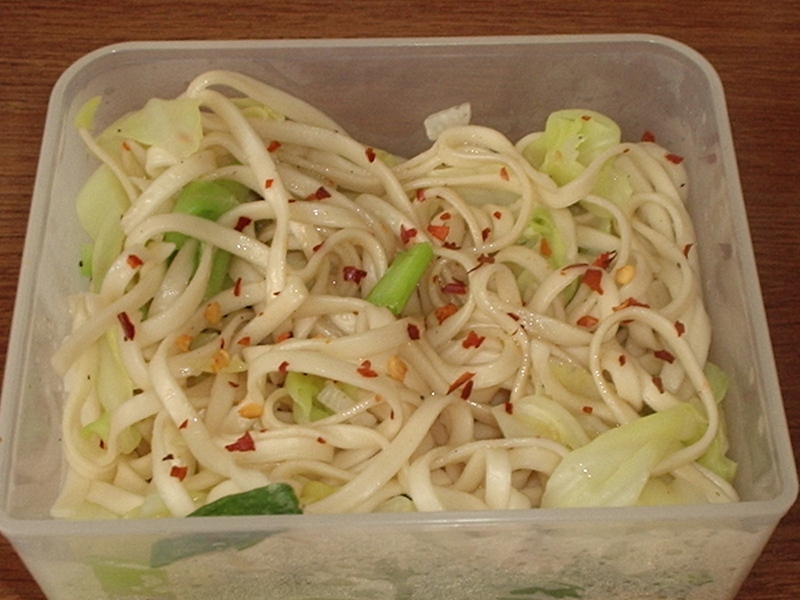 Haluski AKA “Cabbage and Noodles” – This dish is Polish and is traditional in New England . I got this recipe online and changed it around a bit to have more of an asian feel to it. Cut cabbage in half and cut out the core. Cut each half into long, thin-ish strips. 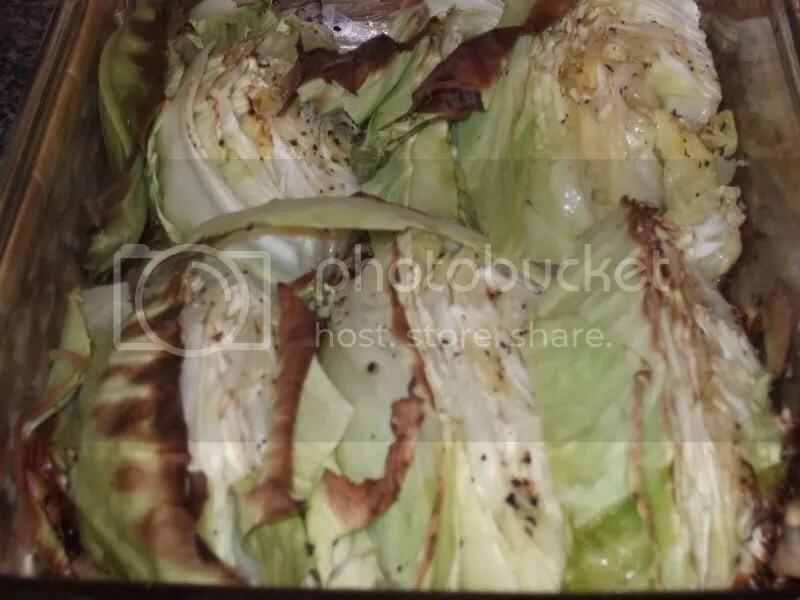 Put cabbage strips in a large pot along with the margarine over medium heat. Use 1/2 to 3/4 cups margarine (1 to 1 1/2 sticks) depending on how big your cabbage is. Let the cabbage and margarine simmer until cabbage is wilted and yellow. While cabbage is simmering, boil your pound of noodles. When both cabbage and noodles are done, drain the noodles and mix them with the cabbage. Stir. Add as much salt and pepper as you desire. Add margarine to skillet, once melted all garlic and onion. Once the onion is lightly cooked, add cabbage. As this is cooking, boil noodles. Add the hot sauce or chili paste, and salt and pepper to skillet. 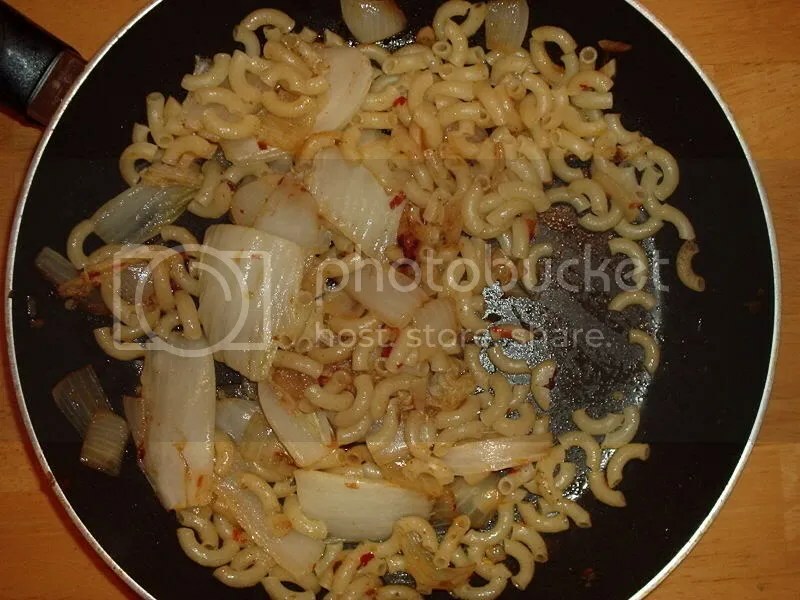 Once noodles are done, drain them and add them to the skillet. Stir and cook a couple more minutes.